“A clear algorithm of actions in any situation is at the core of military service. Determining certain options for action in one or another situation is a norm for the state in the field of security. Therefore, the more situations are regulated for a serviceman, the lower the risk of abuse not only from the side of immediate executors but also from the side of the state. What else should we think about? Quite interesting in this regard was the UN Secretary-General’s 1988 report on minimum humanitarian standards. It was noted that “…One of the great advantages of international humanitarian law is that its provisions speak in a direct and detailed manner to the abuses associated with conflict, offering potential victims relatively clear guidance regarding their rights in specific circumstances. Just as importantly, the duties and responsibilities of armed…” and “Insofar as there is confusion about the application of existing rules, a statement of fundamental standards of humanity would provide a useful reference for those advocating greater respect for human rights in situations of internal violence. This applies especially to those engaged in education and training programmes with members of armed forces… “. On this basis, two main ideas should be distinguished: minimum guarantees for the victims and minimum guarantees for the security forces in the situation of violence. That is, it does not matter how exactly violations are evaluated and qualified nationally; it is important to understand that the violations are not about vulnerable categories or military personnel at the internal level. International instruments, in particular in the field of international humanitarian law and international human rights law, establish fairly clear and absolute principles, rights and guarantees. After the ratification of an international treaty, its norms become the rules of direct action – that is, they can rely directly on them, protecting their rights, referring to a specific body or institution or building arguments. But some of them require a special internal mechanism to put these norms into operation. In order to confirm this, there is an example. Article 33 of the Additional Protocol I to the Geneva Conventions of 12 August 1949, concerning the protection of victims of international armed conflict of June 8, 1977, sets the path for the search for missing persons. It determines that: “As soon as circumstances permit, and at the latest from the end of active hostilities, each Party to the conflict shall search for the persons who have been reported missing by an adverse Party. Such adverse Party shall transmit all relevant information concerning such persons in order to facilitate such searches“. Quite a clear and logical rule if we take an armed conflict into account. But this norm requires the state itself to have accurate lists of the missing persons. That is – it requires an internal mechanism for keeping track of and verifying data on military, civilian, whose fate is not known as a result of hostilities. The combat statutes of the Armed Forces of Ukraine refer to the norms of international humanitarian law. 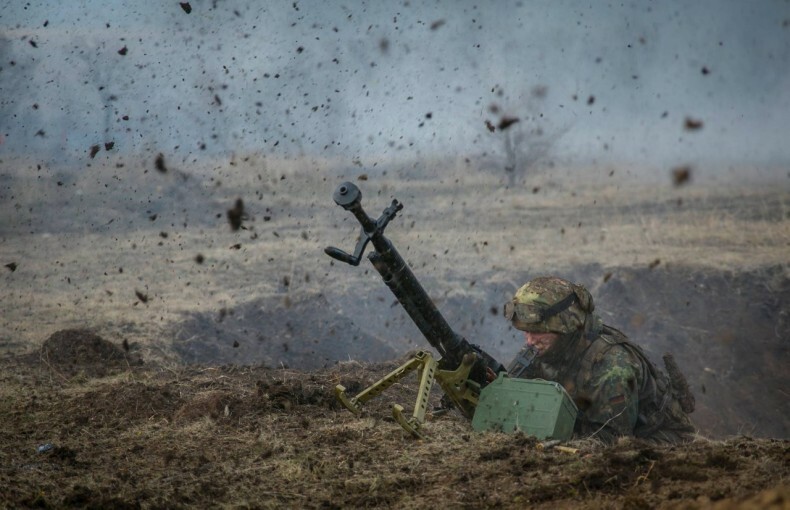 Part III of the Combat Charter of the Ground Forces of the Armed Forces of Ukraine contains even a separate section entitled “International Humanitarian Law in the Case of War. General restrictions on conducting military operations”, in which the general principles of the rights of war and the main prohibitions for the armed forces of the state are well placed. But this is an issue of the active sphere of international humanitarian law – the use of war methods, the distinction of objects. Although the provisions also mention the victims of the war (e.g., the concept is used in the context of international humanitarian law and covers the wounded and sick, persons who suffered a shipwreck or aircraft accident, missing persons, dead (died), prisoners of war, civilian persons in the area of ​​hostilities), but no specific action is determined concerning them. Also, the mechanism for collecting and verifying information on missing persons is not determined. The same is the case with other normative legal acts. Regardless the profession, training is a vital issue for further education. Any important step or decision in the area of ​​activity should be accompanied by important arguments. Especially when such steps put other people into dependence. So, in a situation of armed confrontation, it needs some frameworks to stop cruelty and bloodshed. It is clear that during a war, it is quite difficult to talk about the avoidance of deaths, but in the hands of the warring parties, there is a choice: which decisions to take and what principles to follow. Therefore, the norms of international humanitarian law have a clear limit: there is a white one, within which one can act, but there is a black one, which will sooner or later lead to liability and punishment. But in order to be aware of these limits, it is necessary to educate the understanding in security agencies. It will not depend on the applicability of the principles in practice only from the consolidation of one or another order. It is important to study, disseminate and understand the order. The existence of restrictions can cause misunderstandings if these restrictions are distorted or incomplete. It is a defense, support, awareness of the military’s role in the situation to which it falls. Therefore, what principles should be guided and how to conduct themselves to members of the armed forces should be determined by the state, but not in some points, but in full.